Led by the International City/County Management Association (ICMA), in partnership with the U.S. Department of Energy (DOE) and The Solar Foundation (TSF), SolSmart is a national designation program recognizing cities, counties and towns across the nation that foster the development of mature local solar markets. In order for local governments to learn about and apply for a level of designation — Gold, Silver or Bronze — the new website required a robust, customizable interface that would allow users to save and update their application and program data over time. Profiles and leaderboards offer insight into the communities’ progress toward designation. 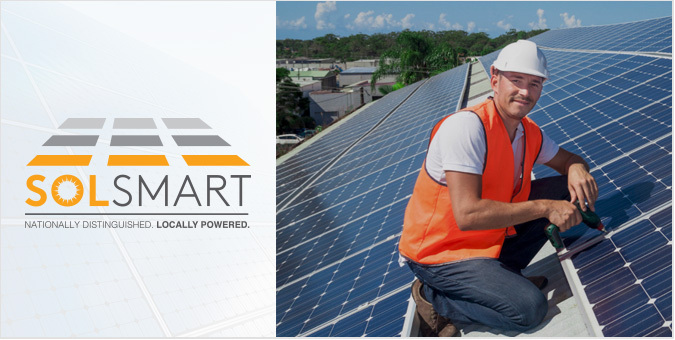 With a dynamic website that provides a user-friendly application interface, SolSmart continues drive greater solar deployment by on-boarding communities that have taken key steps to address local barriers to solar energy which make it possible for even more American homes and businesses to access affordable and renewable solar energy.